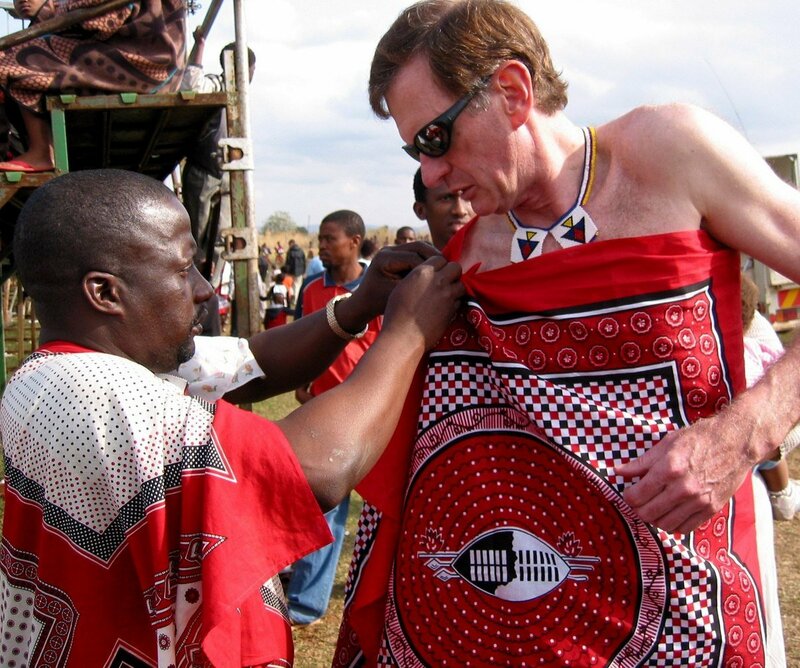 Just a few minutes from our home in Emafini, we visited the Swazi National Cultural Village in Ezulwini. Here the country maintains a center so that young people can proudly carry on the traditional dances, songs, and costumes of the Swazi clans. Mainly we witnessed the events leading up to a traditional wedding. Though not mentioned at this site, men who marry only in a “traditional” wedding may marry as many wives as they can purchase (17 cows for a virgin) and maintain. However, if a man marries in a Christian ceremony, only one wife is permitted. Colleague Invites Us to his Wedding. Our office colleague got married about mid-way through our stay in Swaziland. We were privileged to be invited, to observe the 3-hour ceremony, and be special guests at the reception. Though we understood very little of the words and sermons, the ceremony itself was joyful and included bride, groom and their attendants dancing up and down the aisle as well as much gospel singing from the church choir.